Everything Rick can think to write! ‘Avocado’ moves south! 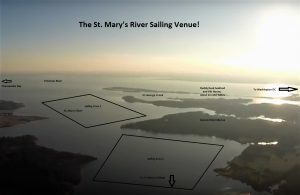 The St. Mary’s River and St. George Creek Venues, accessible from a public ramp at Piney Point and a ramp inside Dennis Point Marina, is one of the finest sailing venues available! There are fewer boats (I’ve sailed on July 4th and been the only boat out there) and your choice of protected & open water- super clean, deep water with no hydrilla! Sailing from Dennis Point Marina gives us immediate access to the mouth of the St. Mary’s River. Only 1-1/2 hours away from Alexandria! Take it from me- I lived for 15 years on my beloved St. George Island sailing my M-16 ‘Destiny’, my E-Scow ‘PrEdator’ plus the cruising boats ‘Nite Cruz’, a C&C 24, and ‘Blown Away’, a Maxi 8.7M boat nearly every good sailing day after work! It is semi-salt water comprised of river flow, run-off, & tidal seawater. 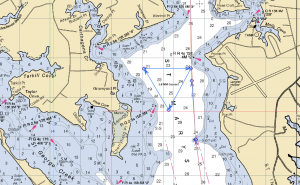 The Potomac is some 12 NM wide where it joins the Chesapeake. There are lots of small boat ‘long distance’ race opportunities too, and the Ruddy Duck Seafood and Ale House is a short sail into the St. George Creek! They have a good dock where I have arranged regattas before.